Filmmaker Spike Lee said ‘When I listen to (Copland’s) music, I hear America’. 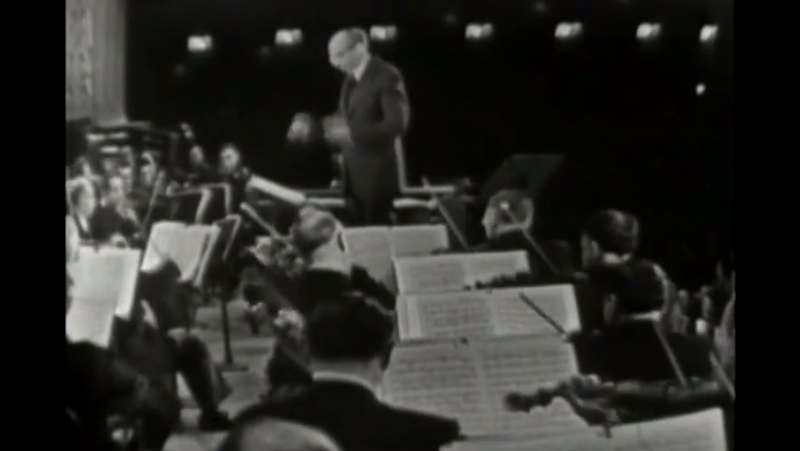 Aaron Copland was a versatile composer writing for almost every genre but is best known for creating a uniquely American sound in orchestral music. The quintessential American composer, through his music Copland articulated the American psyche. Before you see our youth opera production of Copland’s The Second Hurricane featuring the Victorian Opera Youth Chorus Ensemble (VOYCE), learn a few more things about this fascinating musician. 1.Copland was born in 1900 and lived for 90 years. 2. His father came from a Russian-Jewish background and his surname was originally ‘Kaplan’ but became anglicised to ‘Copland’ during his migration to America. 3. At age 11, Copland wrote an opera scenario in the Italian-French opera tradition of the time called Zenatello which included seven bars of music – his first noted piece of music. 4. After seeing Polish pianist Paderewski in concert at age 15, he was inspired to pursue a career in music. 5. In the 1920s he studied classical music in Paris under famous educator Nadia Boulanger who was one of his greatest influences. 6. During Boulanger’s Wednesday afternoon teas Copland mingled with many famous musicians including Igor Stravinsky, Francis Poulenc, Maurice Ravel, Heitor Villa-Lobos and Camille Saint-Saëns. 7. Copland loved books and owned more than 30 volumes of André Gide’s work – his favourite writer. 8. Copland was nicknamed the ‘Dean of American Music’ because of his generosity in helping and teaching young composers. 9. The first production of The Second Hurricane (1937), a play opera written for high school students, was directed by a young Orson Welles and Joseph Cotton played a small adult role. 10. The Second Hurricane was part of Copland’s ‘American Gebrauchsmusik’ mission seeking to simplify classical music and give it a wide appeal. 11. Copland was the first to use music to convey the landscape of the American West with iconic works such as his radio composition ‘Prairie Journal’ and his ballet Billy the Kid. 12. Copland won the 1945 Pulitzer Prize for Music for Appalachian Spring which famously used Shaker melodies and captured the spirit of the American frontier. 13. Copland won the Academy Award for Best Original Score in 1949 for The Heiress and received nominations for his scores for Of Mice and Men (1939), Our Town (1940) and The North Star (1943). 14.He was blacklisted during the McCarthy era for his sympathies towards left-wing ideology and supporting the USA Communist Party in the 1930s. 15. Copland’s 1954 opera The Tender Land was originally written for television and is one of the few American operas to enter the repertory. 16. His Fanfare for the Common Man is used for American Presidential inaugurations. 17. Copland and Leonard Bernstein were close friends maintaining correspondence throughout their lives. Bernstein revered Copland’s music and Copland mentored Bernstein. 18. With his oblong narrow face, prominent nose and heavy eyelids, Copland often humorously deprecated his looks, comparing himself to a giraffe. 19. He had a fear of heights. 20. A night owl, Copland composed mainly in the evening after dinner, often working until midnight or later. 21. In his later years he owned a Great Dane called Nadja who was named after his Parisian teacher Nadia Boulanger. 22. Copland’s ashes were scattered on the grounds of Tanglewood Music Centre in Massachusetts where he taught composition for 25 years. 23. John Williams, who composed music for Star Wars (1977), Jaws (1975) and Indiana Jones and the Raiders of the Lost Ark (1981), commissioned a sculpture of Copland at Tanglewood, unveiled in 2011. The Second Hurricane was Victorian Opera's 2017 Youth Opera. It was supported by the Victorian Opera Education Syndicate.